Back to this… birch? 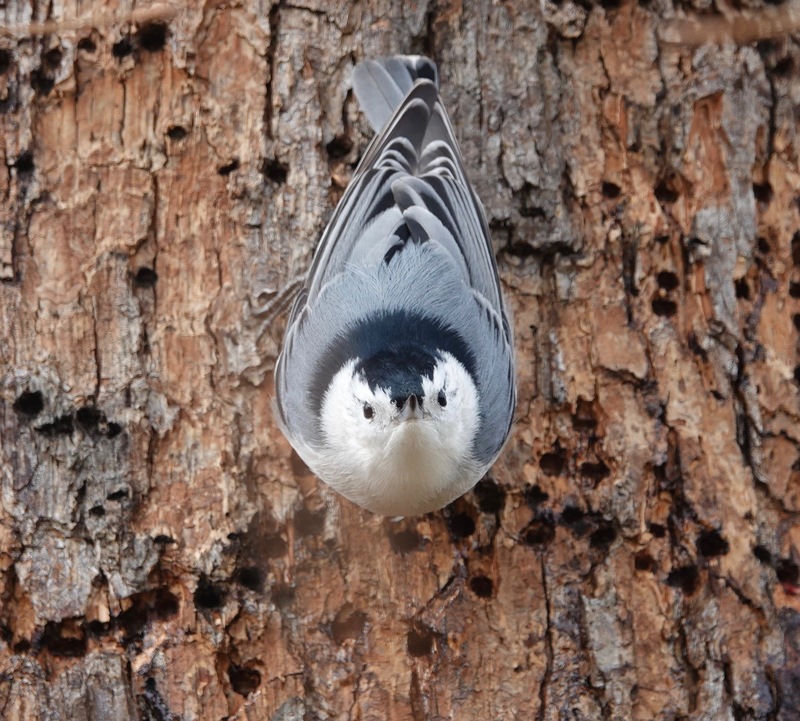 This time — and it was the same time as yesterday’s Tufted Titmouse, give or take a minute — a White-breasted Nuthatch is partaking of the sapsucker holes. 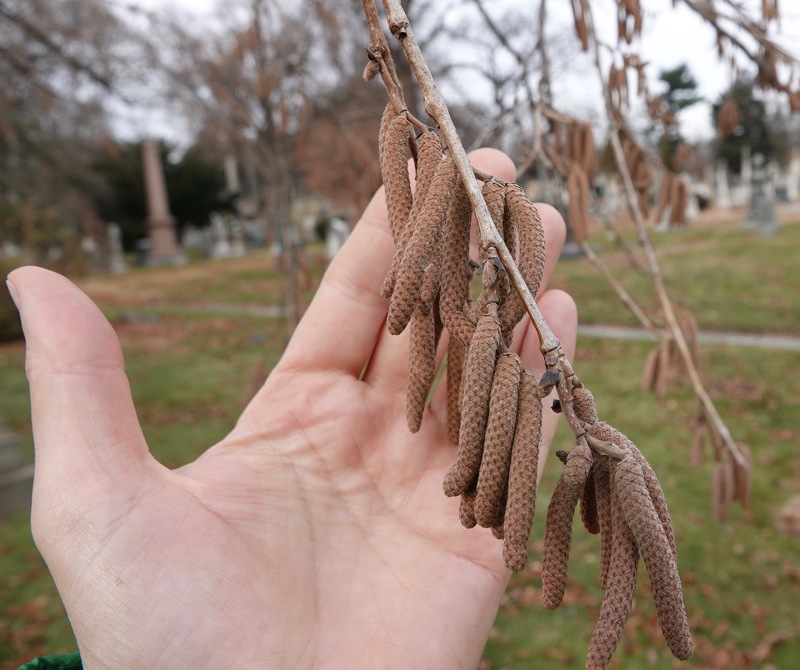 In Green-Wood Cemetery at this time of year, you can go a good distance without seeing any birds. 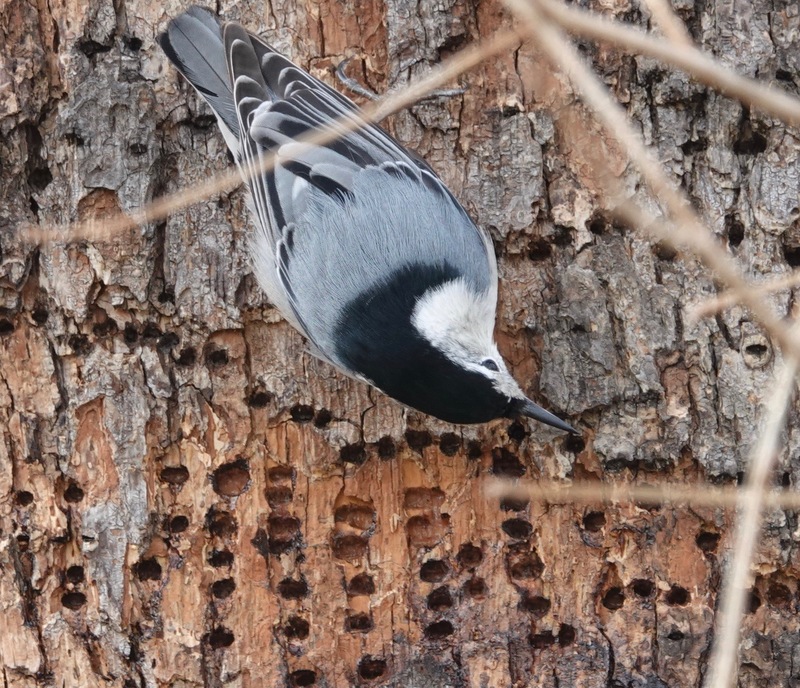 But when you come across them, the otherwise lack of activity gives you ample opportunity to just observe. And listen, of course. 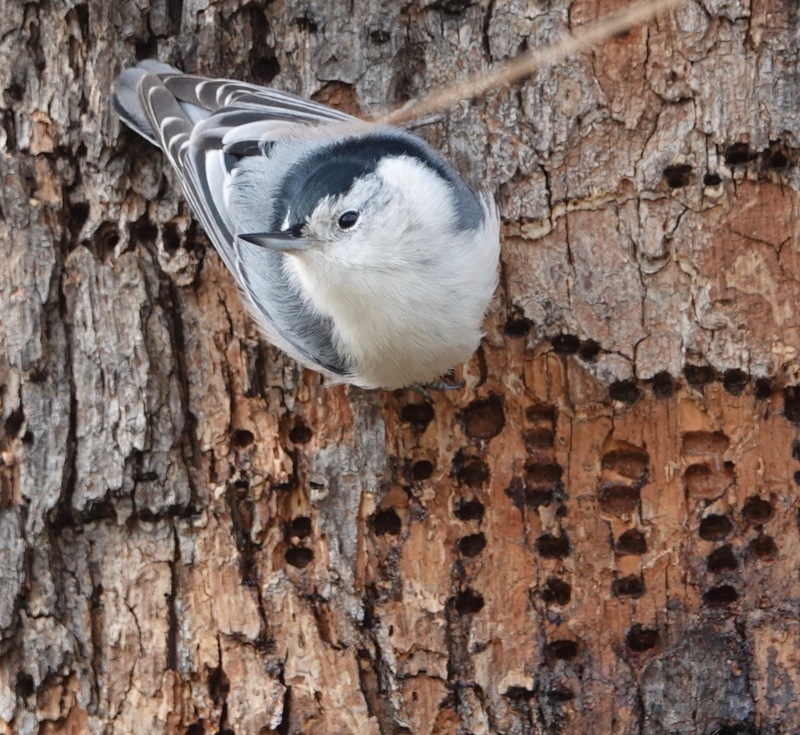 As to the nattering nabobs of nuthatches, for instance, a sound nearly omnipresent this winter. 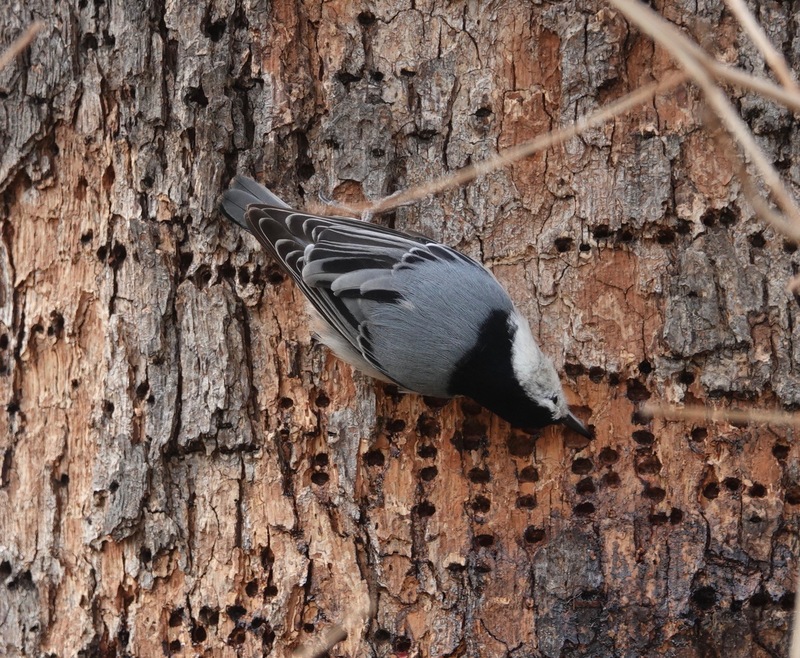 Update: see below for notes about IDing this tree as a Betula nigra. Meanwhile, two years into the Republican assault on life. The tree could be a River Birch. There are several inCentral Park. The bark is similar. Thanks for this info, Linda! Another correspondent, also a Central Park tree person, has written me privately to suggest the same ID. So different from the peel-y bark of a younger specimen. Betula nigra is also known as black, water, and red birch.